Environment needs active thoughtful initiatives to protect it from the damage the future threats upon it. One of the most proactive things to participate in is reduction of plastic use. Here's a set of ways you can participate in and contribute your bit in reducing plastic use. Read ON! Plastic is a part of our lives whether we like it or not. So many of the goods that we buy are made of plastic or wrapped in it. In fact, it can seem like taking a trip to the grocery store is all you need to do to add more plastic to your life! 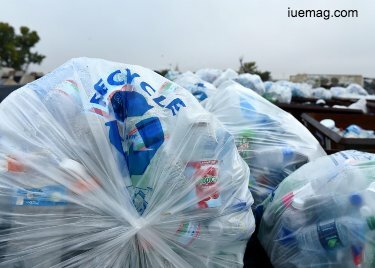 What are some ways to reduce plastic usage? Here are six interesting and easy ways that you can make a positive change in your life. Disposable products are a massive issue where plastic use is concerned. These items last for one or two uses, then you throw them out. Sometimes you are throwing the item out within the hour. Look at coffee cups, water bottles and other such items. There is no need to continually purchase these items, when you can buy long-term use alternatives. Shopping bags are another huge issues where plastic is concerned. Each time we go to the grocery store, we add another five or six plastic bags to our collection. Where do these go? They are certainly not recycled! It is time to switch to reusable bags, which you can buy through custom tote bags and other such sites. These cloth bags look great and will hold more items too! Have you ever bought beauty products that contain microbeads? They are in many modern shampoos, toothpastes and other such products. Avoid those at all costs! They do not add anything to your hygiene and they are bad for the environment. They are only present for aesthetics and nothing else. It is impossible to avoid takeout containers when you are always ordering food or picking it up from a store. While the odd store may allow you to use your own containers for transporting food you bought, most will not engage in such a practice. The best alternative is to cook more when you are home! You can even set up all your cooking for one day a week, where you put all your meals into reusable glass containers. That food will last you most of the week, which will drastically reduce the amount of times you eat out. Is there a need to buy new items all the time? It is understandable for certain luxury items. But if you are always buying new products, you are inevitably using more plastic and other materials. Even items like smartphones can be purchased used. Instead of buying the latest smartphone for $1000 when it comes out and tossing out your old phone, wait a year and buy last year’s flagship model for half the price. You still get the fancy new phone, but you are buying a secondhand product! 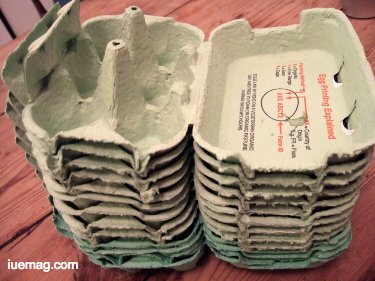 It goes without saying, but whenever you are using items that can be recycled, make the effort to do it! Sometimes it is a simple task like washing the item once and putting it in your recycling basket! These six changes can have a big impact on the amount of plastics that you use in your everyday life. And when millions of people start embracing these changes, we can start making a seriously positive impact on the environment. Any facts, figures or references stated here are made by the author & don't reflect the endorsement of iU at all times unless otherwise drafted by official staff at iU. This article was first published here on 3rd May 2018.